You are probably one of the many smartphone users that plays RPG, MMORPG, MOBA and other types of android games. These games sometimes have more than one control. Some can be played with the multi-touch ability of the phone, or with the accelerometer. Some can be played with a Bluetooth enabled controller. 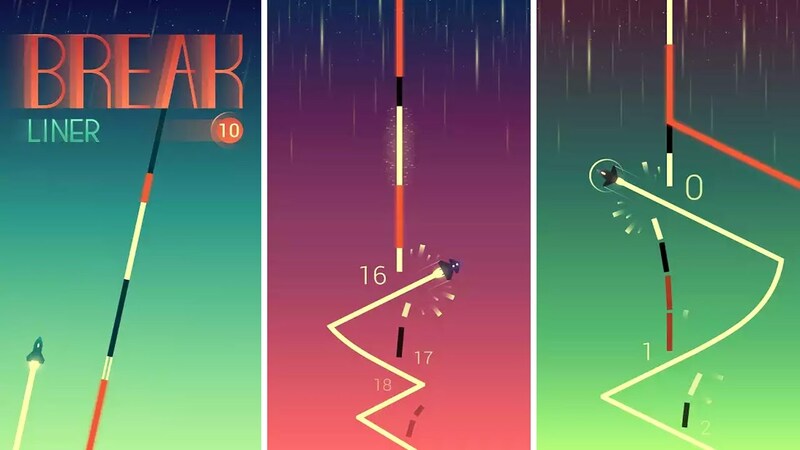 Some prefer these types of games, but for some, they prefer games that can be controlled with just a single tap. If you are one of them, then this list is for you. Remember Flappy Bird? No, it is not included in the list, but you get the idea there of the single tap game. screen until you reach a checkpoint. Checkpoints can also be unlocked with fruit that you pick up on your way. Take note that every day, a new level unlocks. The free version of the game contains ads, but if you want a no-ad game, you can buy the game for $4.37 – this also unlocks all the checkpoints with the game. 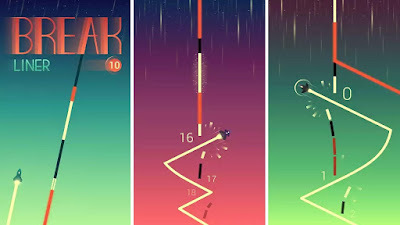 Break Liner is about a spaceship travelling towards a collision in a line that is at the centre of your screen. You earn points by crashing into this line, however, there are parts of this line that cannot be broken. 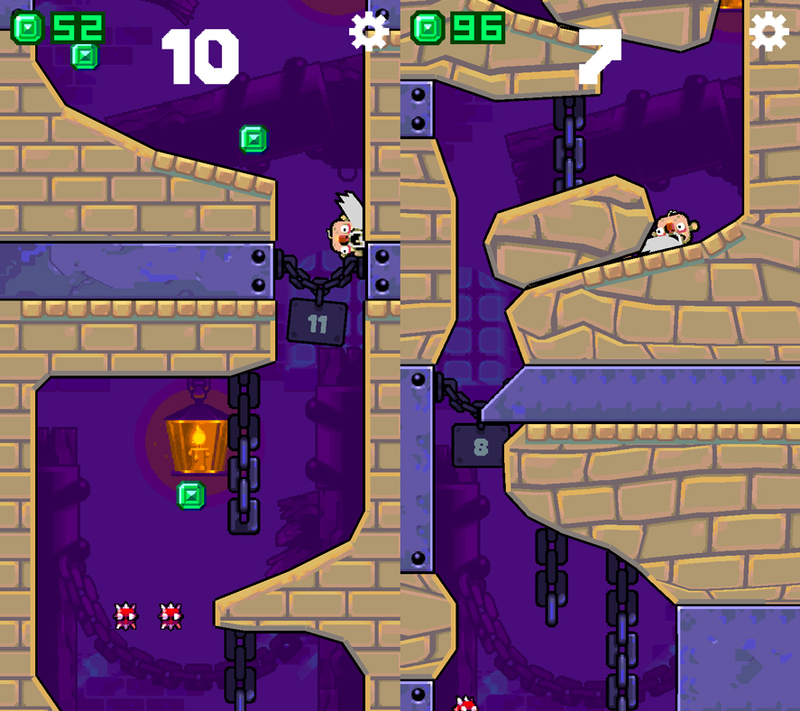 Some part of the line contain temporary power-ups. The game is free from the play store, with some ads, of course. Want a no-ad game? Purchase the game for $1.99. 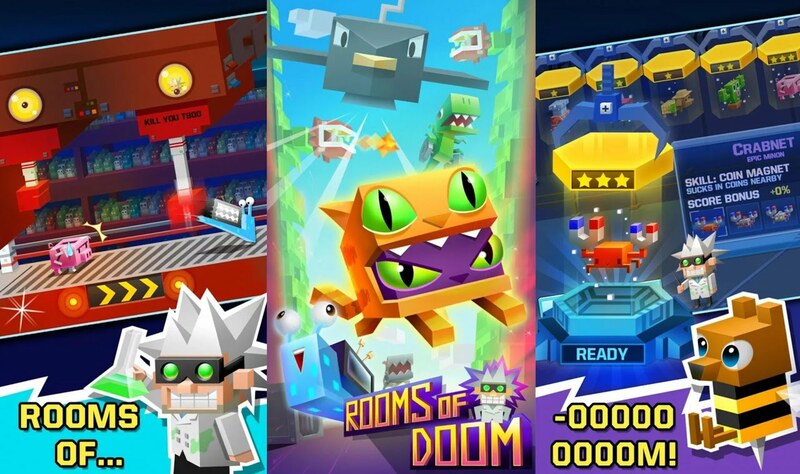 Rooms of Doom is about minions having to test your mad science inventions. You can manipulate your minions by tapping on your screen. There are different types of rooms in this game, and every time you tap, it does different things. For example, tapping in the Barrel Blast room will launch your minion from one barrel to another. In the Boxing Brim, it reverses the direction of the treadmill to avoid being squished. More minions and rooms will be unlocked if you survive longer. This game is free in the play store. There are in-app purchases – like upgrades for your game. There is also free stuff within the game! Your character in this game is falling through an endless dungeon – where there are a lot of bad things that could harm your character. Within the game, tapping on your screen stretches the dungeon’s walls. In doing this, you will be able to avoid obstacles – spikes and spinning blades, you will also be able to bounce off walls. There are four different dungeon layouts for this game. 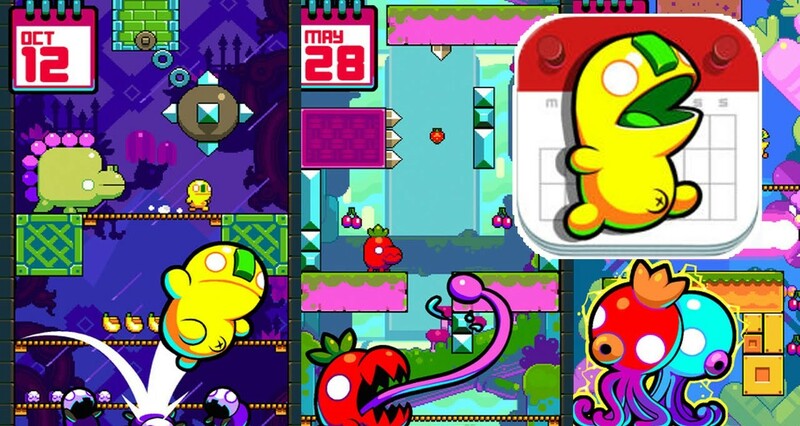 The game is free in the play store, with $3.49 in-app purchase which eliminates the ads. 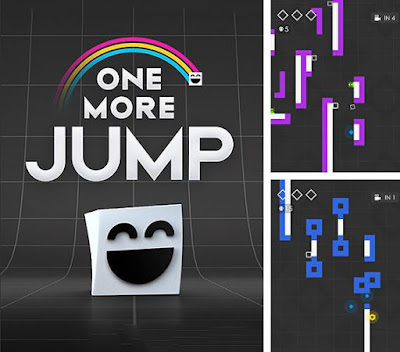 In One More Jump, you have a little square that jumps by tapping on your screen. What else do you need to do within the game? Nothing. Just jump. 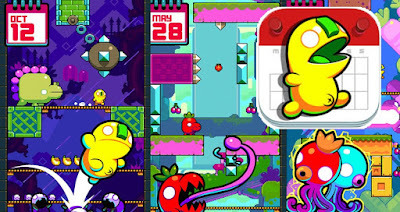 It is one of the many endless runner games, but in this game, your little square jumps and slides along the lines in each level. Jumping lets you collect pips and avoid dangerous line segments, which will cause your avatar to die. Your avatar is attracted to whatever line is closest to it, so you can leap from one line to another. You could also land on a reverse side of a line. This game is free in the play store. If you want the ads to be eliminated, there is $2.49 in-app purchase. Thanks for Reading this Article!! !